Markets have performed well lately, but market chatter is increasingly focused on the likelihood of a correction in the months ahead — investment advisors need to be firm with clients who do not heed the warnings. 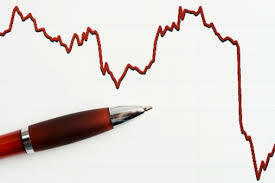 A recent report from Oppenheimer analyst Ari Wald claims "a near-term correction is inevitable ... In our view, a seasonal bull market correction has become a question of when, not if." Commenting on the challenges facing advisors, Dan Wynnyk, vice-president, Waterfront Group, CIBC Wood Gundy, described a recent client: "Last week our biggest challenge involved a prospective client who categorized himself as a conservative investor, but actually had a very aggressive investment strategy with little diversification. The client knows that he is at risk of suffering big loses but cannot make the decision to change and protect his life savings. Our challenge was to convince the client to de-risk now before the current cycle ends and a market correction compromises his retirement plans." The risk-aware outlook is a smart one. Another recent report points out that the percentage of firms beating earnings forecasts fell is falling in Q2. "Early on this season, the earnings beat rate was holding right around the 60 per cent level for U.S. stocks, but last week it took a nosedive down to 57.4 per cent. If the current beat rate holds through Thursday, this would actually be the weakest reading we've seen during an earnings season since the bull market began in early 2009," according to a report from Bespoke Investment Group. That is, the current earnings season may already be steering markets toward an early summer correction. Are your clients prepared?